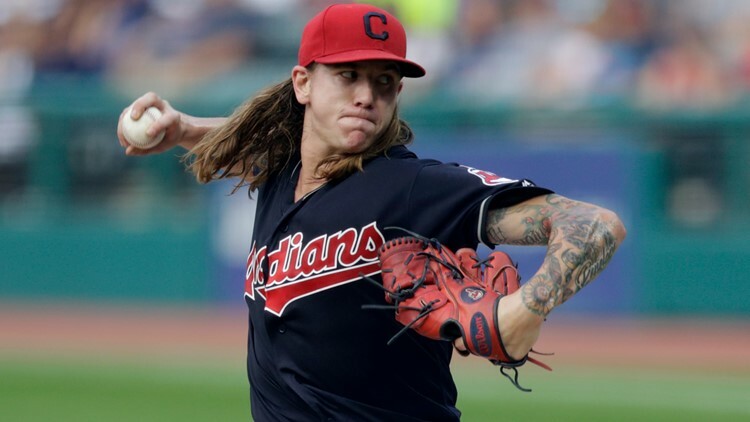 Cleveland sports fans wonder about Mike Clevinger's injury, the Cavs 'FieldHouse' and Odell Beckham Jr.'s first product endorsement. CLEVELAND — "You Said It" is a reader participation column based on the premise that if you don't laugh about Cleveland sports, you'll cry. And that if you do laugh about Cleveland sports, you might still end up crying. But at least friends and family will like being around you more. Bud: This Mike Clevinger injury on top of the Frankie Lindor injury makes me wonder. Next time an Indians player gets hurt and we hear it's nothing serious should we skip the “Get Well” card and go right to “Our Deepest Sympathies”? — Kevin. Stay positive. By the time Clevinger returns in late July, re-injury will be much less likely. What with the average daily high in the upper 50s and all. Bud: So Johnny Manziel says he wants to go by John now. What effect will this new-found maturity have on the advancement of his NFL career?— Tim, C-Town. I suspect it will have the same career-altering effect as a similar name change would’ve for Bub Brister. Please tell me it has a belt and that you use it. Asking for all the delivery people in your neighborhood. Bud: Was your introductory press conference with WKYC somewhat similar to the Browns OBJ introduction last week? — Jim Walsh, Olmsted Falls. Except for an actual event and more than one person in attendance, it was a dead ringer. Bud: First the Lakers miss the playoffs. Then Magic Johnson abruptly resigns. How could things get worse in L.A. for LeBron James? -- Joe in LaLa Land. I'll consider this a rhetorical question at least until he ends up with Lance Stephenson as his "Space Jam 2" co-star. Bud: So the Q "Arena" is now a FieldHouse? Sounds folksy. -- Steve. Yes. Pay no attention to the season ticket packages that rival a five-bedroom in Gates Mills. Bud: While many high-profile Browns have pitched ‘Roman Burgers’ in the past, do you think this off season’s biggest acquisition is better suited for hot dogs? -- Jim Corrigan, Fairview Park. Something tells me your email is not quite what Odell had in mind when he said fans would remember the April 1 press conference as an "iconic" moment. Bud: When John dons a disguise in Vegas will he go by ‘Bill?' — O. Bill Stone. You Said It “winners” know to quit while they’re ahead.